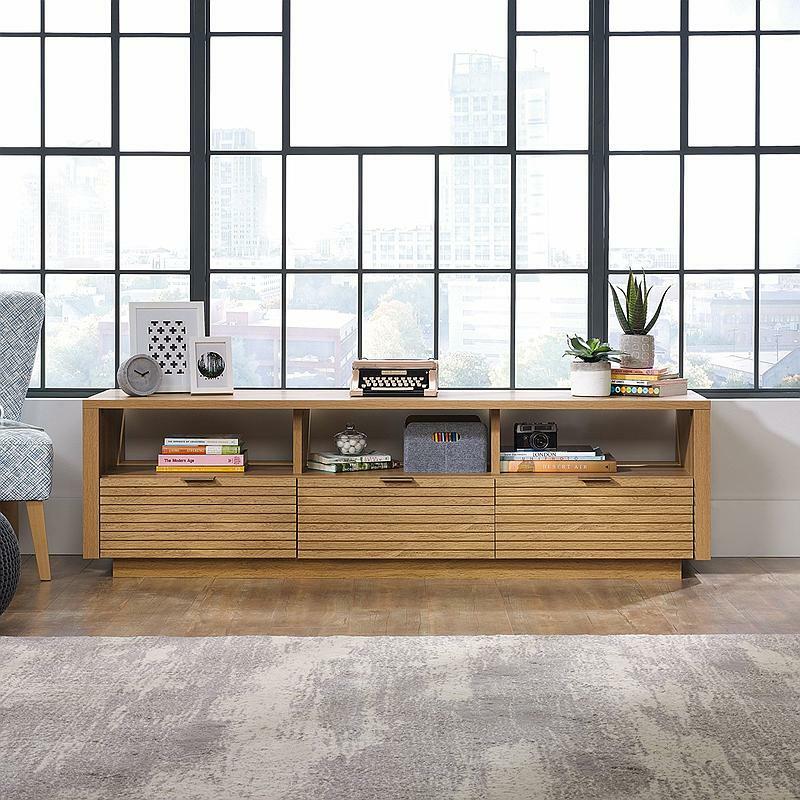 Call up all your friends and grab some popcorn, it’s time to watch some movies around this entertainment credenza from the Harvey Park collection. 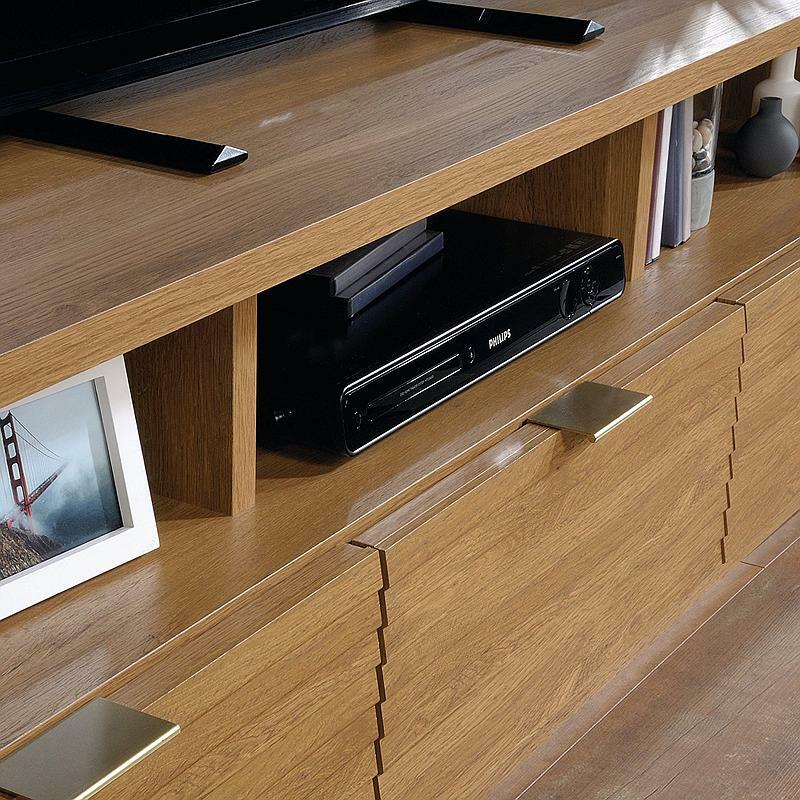 It accommodates up to a 70” TV, so you can movie marathon or binge watch on the big screen. It features three open shelves along with three easy gliding drawers for all your video and gaming equipment. 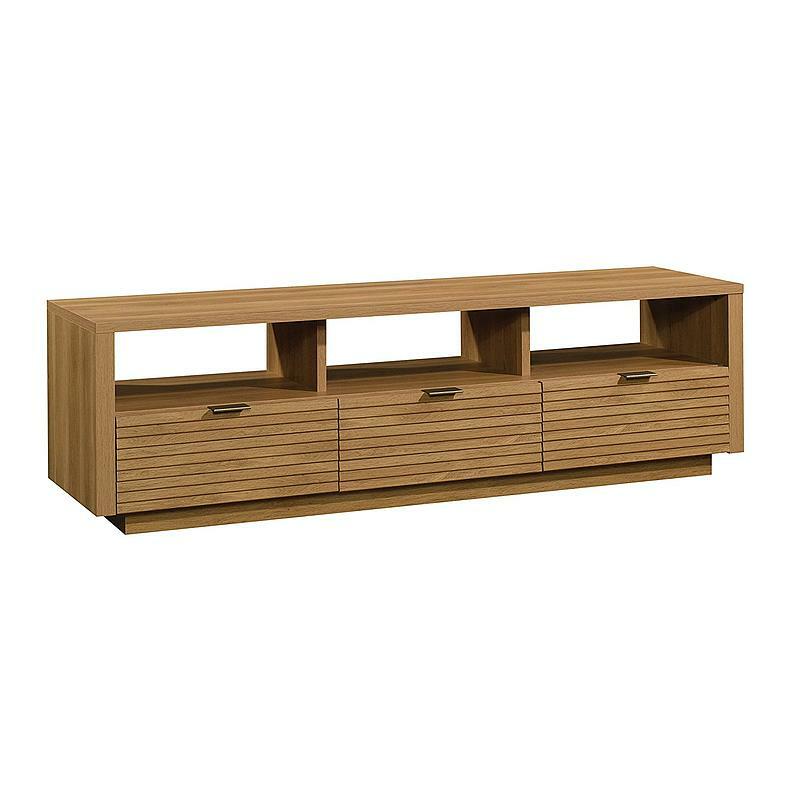 Finished in a classy Pale Oak, this console will be the center of attention in any room.